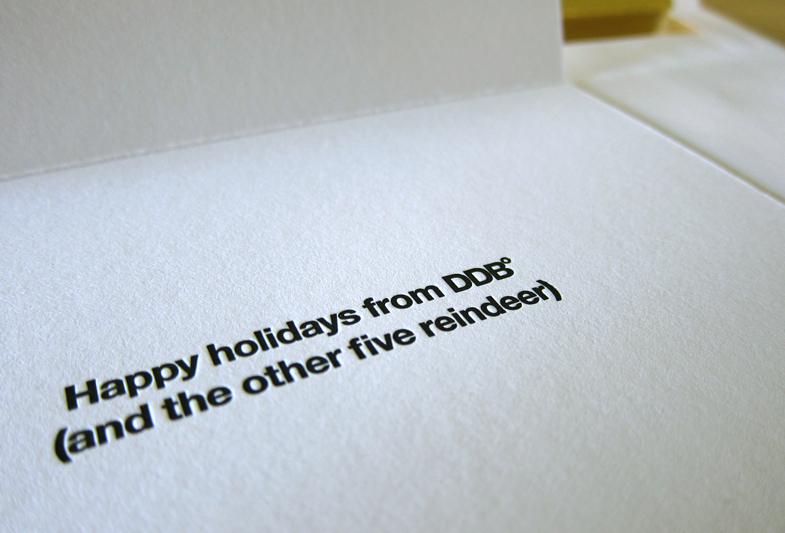 2011 holiday card for DDB Canada. 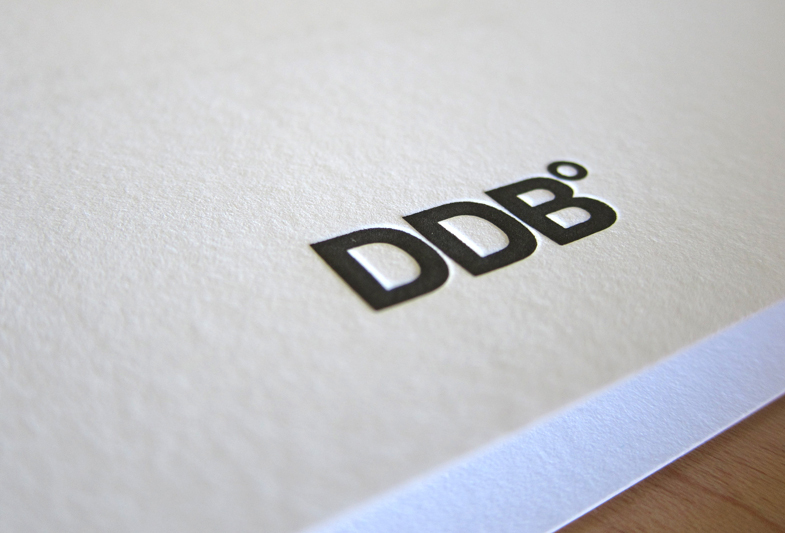 A simple (and religiously-neutral) visual concept based on the three characters in the DDB logo, snow and a gold ring. 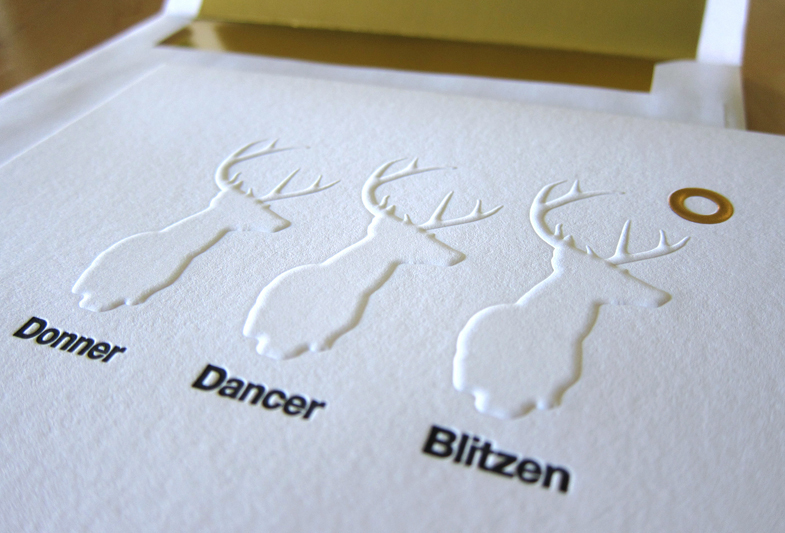 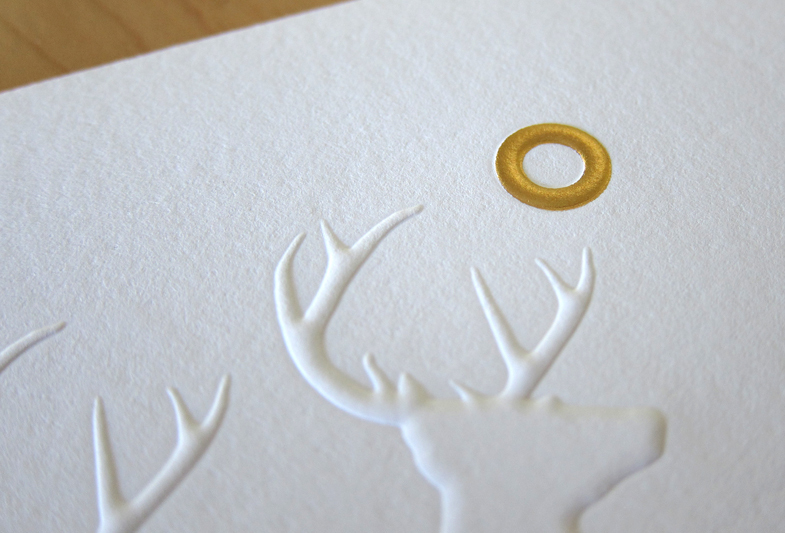 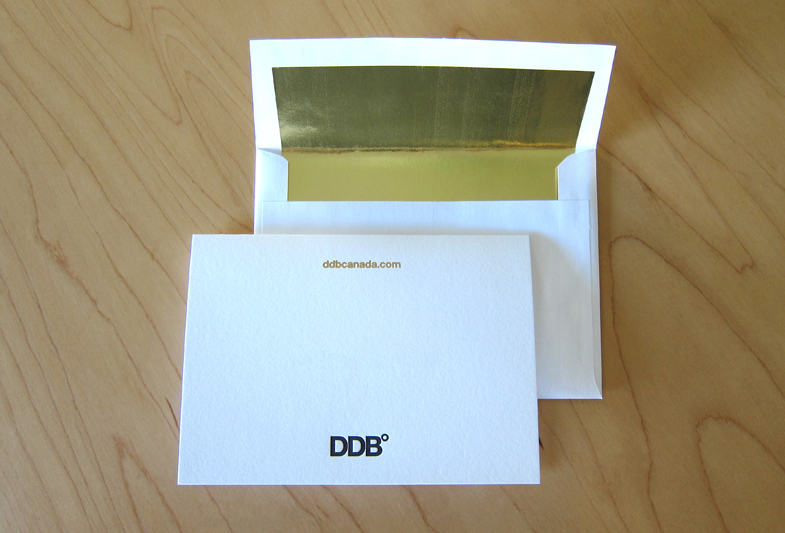 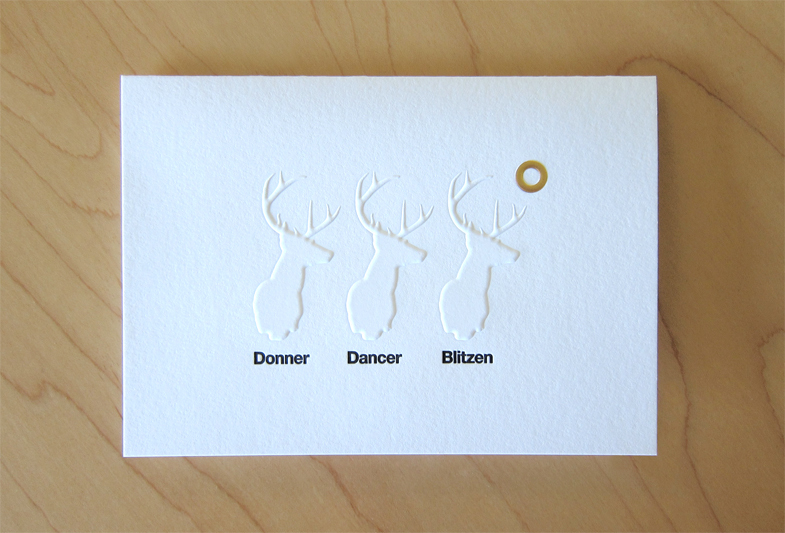 The concept was further elevated by print production; paper stock representative of the texture of fresh snow was blind-embossed with the three reindeer (representing the initials DDB), while all the type was printed using letterpress and gold foil replacing the corporate yellow to enhance the seasonal feel.